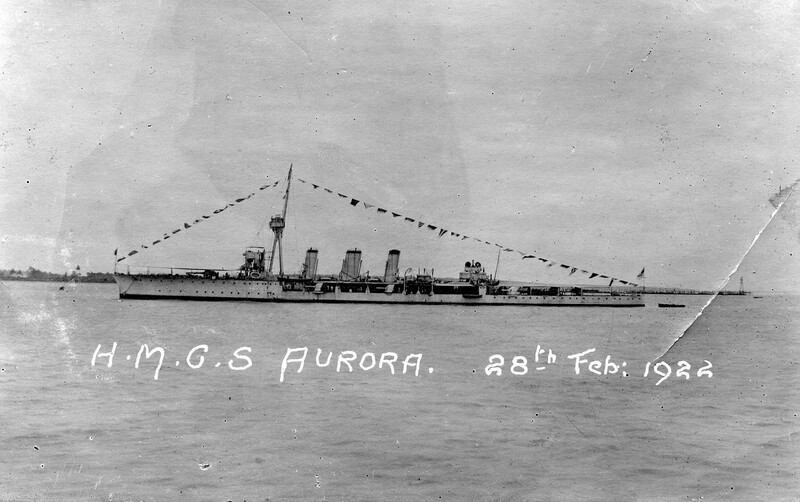 One of the eight-ship Arethusa class, Aurora had served with the Grand Fleet from 1914 to 1916, and was the first British ship in action at the Battle of the Dogger Bank in 1915.  She was on hand at the surrender of the German High Seas Fleet in Nov 1918. 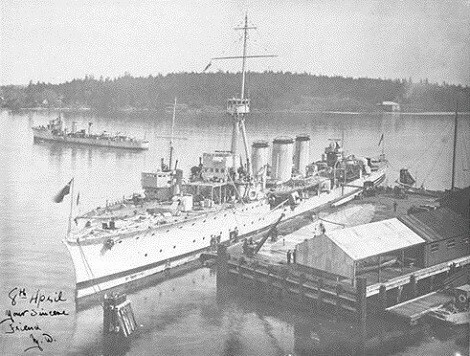 Aurora was presented to the RCN in 1920, along with two destroyers, and commissioned on 01 Nov 1920. 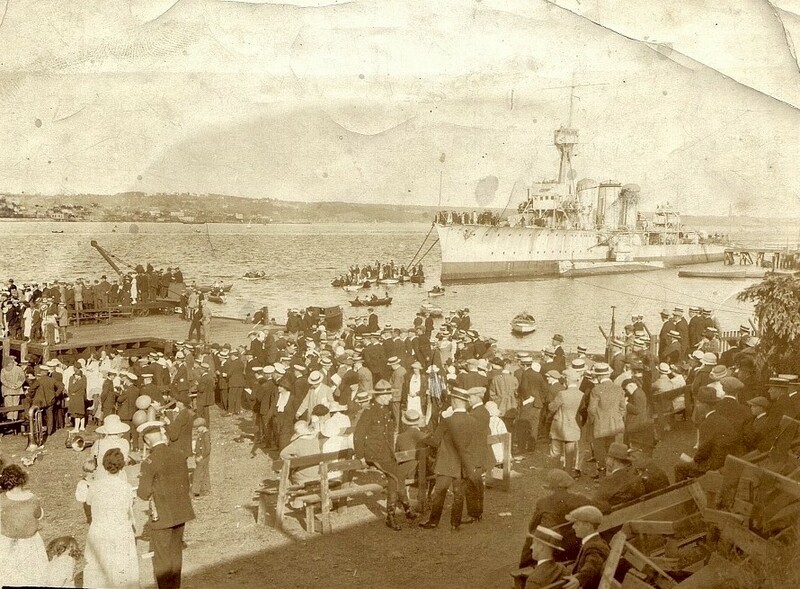 After the three ships arrived in Halifax on 21 Dec 1920, they set out on a training cruise via the Caribbean to Esquimalt, later returning to Halifax on 30 Jul 1921. A year later, drastic cuts in the naval budget made it necessary to pay off Aurora. Disarmed in 1922, she was paid off on 30 Jun 1922 and placed in the hands of caretakers at Halifax. 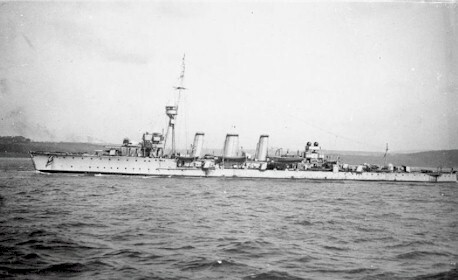 She lay at Halifax in an increasingly embarrassing state of deterioration until 1927, when she was sold for breaking up.